"My philosophy is to design the right pieces to support the actor and tell the story. I want the actors to wear the costume - not the other way around." 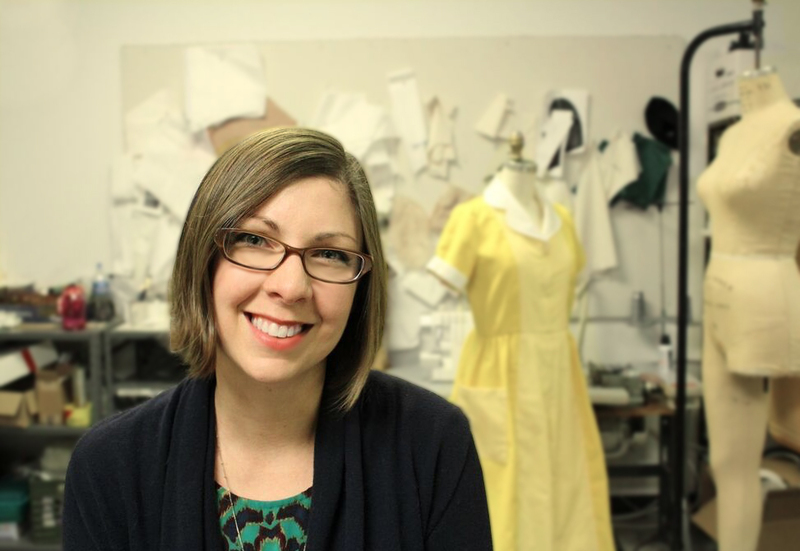 Alison Roberts has been a steadily working Philadelphia-based costume designer for sixteen years. An early childhood fascination with her mother's 1960's Singer led to hours of working on sewing projects, and joined with her love of theatre in high school, when she costumed two shows her Senior year. Even then, her love of color, texture, and attention to detail was apparent. No one was surprised when she took her work study in the costume shop at Rowan University, where she has returned as a guest designer. Alison completed an M.F.A. in Costume Design and Technology from Illinois State University after receiving her BA in Theatre from Rowan. She is the Costume Supervisor at the Arden Theatre Company, a multi-award-winning regional theatre located in the heart of Old City Philadelphia, and where she is responsible for implementing and overseeing the design and construction of seven productions per season. In addition to managing a busy and active costume shop while raising an incredible kid, she freelances regularly with area companies such as 1812 Productions, Drexel University, Flashpoint Theatre Company, Philadelphia Young Playwrights, Jeanne Ruddy Dance, Theatre Exile, and Theatre Horizon.